How to Become a Copy Editor. A copy editor reads a manuscript with care, querying or correcting errors in grammar, word usage or sense; resolving inconsistencies; and often marking the manuscript for the printer. 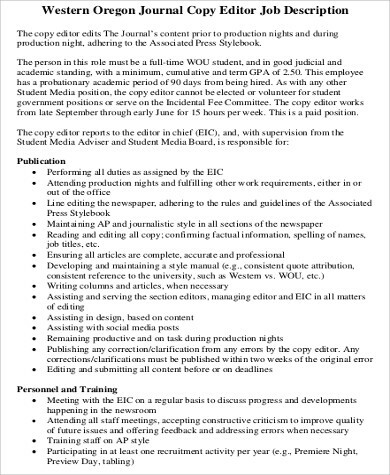 If you enjoy reading and writing and have a great ear for language, you may enjoy being a copy editor.